As a mother of seven children, I sometimes find myself reflecting back on their childhood and the time they spent in school; each child's ability to thrive in school was different. Seeing my youngest daughter, who is now a senior at Mankato State majoring in Nursing, makes me proud. Graduating from high school and college is such a significant achievement. I felt so proud watching my sons and daughters walk across that stage and earn their diplomas. It was worth all the time spent helping with homework and all the early mornings and late nights of hard work to know that my children were on their way toward a successful future. No sacrifice seemed too large when made for my children. As a state legislator, I do my best to make sure that all the children I serve here in Minnesota have the same chance for a good education. Why isn't Congress doing the same? Our current challenge with the Minnesota educational system is closing the achievement gap. Research tells us if we provide early learning opportunities, children are more likely to be successful in school and in life. Investing in universal pre-K for all 4-year-olds is a great start. In order to accomplish the goal of student achievement, we must get all children ready for kindergarten and work to ensure every student is reading by 3rd grade to achieve the desired outcomes we all know children deserve. In addition to closing the achievement gap, the state should invest more in the St. Paul Promise Neighborhood, in the heart of St. Paul's historic Rondo and Frogtown neighborhoods. In this neighborhood, children and families experience high rates of poverty and racial and academic disparities. Highly mobile living situations and homelessness are also common. The St. Paul Promise Neighborhood is a community-wide initiative to provide the academic and social supports children need to succeed in school and life, with a high emphasis on parental engagement. They provide wraparound services for children and their families, stable housing, access to social services, and priority for early childhood scholarships. Data shows that this program increases children's success. Shouldn't we fund programs like these with proven track records of success? All sides and parties agree that a quality, solid education for the children in our families and communities is essential. Unfortunately, the federal budget does not reflect that priority. For more than a decade, the Pentagon has received more than half of the nation's discretionary budget. For the next fiscal year, more than $600 billion is slated for the Pentagon, nuclear weapons, and war. Education gets just $74 billion stretched out among Head Start, early childhood education, Pell grants, Title I programs, Stafford loans, school nutrition programs, and all the other components of our nation's critical education infrastructure. We need to make sure that the nation our children will inherit is economically strong. We must invest appropriately to strategically address 21st century security threats, keep our nation safe, and ensure that our brave men and women in uniform have all the tools and equipment they need to safely do their job. Now, Congress is planning to increase the Pentagon's inappropriate reliance on the "Overseas Contingency Operations" -- a $90 billion war-spending slush fund that gives the Pentagon even more funding on top of its base budget and evades Congressionally-mandated budget caps put in place by a 2011 law. The education programs that serve our nation's children are hurting for funding, yet the Pentagon gets an enormous slush fund. Imagine all the school lunches, Head Start slots, and college scholarships that could be paid for with $90 billion. Isn't it time that Congress changes its priorities? As the budget debate continues in Washington, I hope that Congress will think about the millions of children across the nation whose minds are being molded and futures being shaped. They all deserve a chance to wear a cap and gown, walk across the stage, achieve, and be prepared for their future. Let's not shortchange our children's tomorrow by not investing our tax dollars properly today. 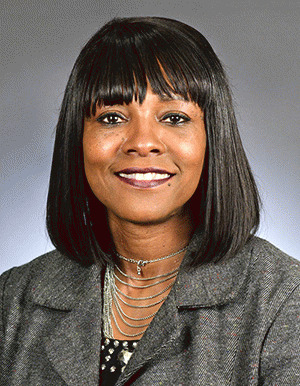 Rena Moran is a State Representative in Minnesota, representing St. Paul - District 65A and serving on the Education Innovation Policy, Health & Human Service Policy, and Rural Economic and Workforce Development Committees. Representative Moran is a member of the National Organization of Black Elected Legislative Women and the Women Legislators' Lobby (WiLL), a program of Women's Action for New Directions (WAND). You've Graduated - Now What?